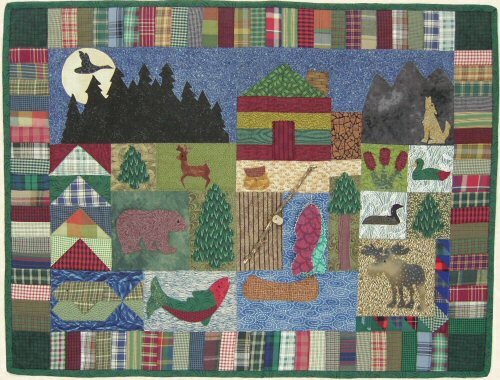 Quilt Size: 31" x 23"
Northwoods Cabin is a Sew Simple Sampler™ pattern. 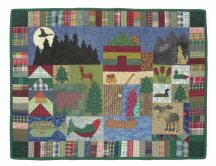 The techniques include Fusible Appliqué, Applied Patch Appliqué and Machine Piecing; along with a fun 3-D Fishing Rod with Fish! Small pieces of fabrics for backgrounds and the different animals, plants, fish, etc.